If the world became your classroom, would you want to live there? I sit with this question every single day, and it has pushed me harder than any other question I have asked myself. I want kindness, creativity, equity, joy, I want difference embraced and celebrated, I want critical engaged thinkers, I want advocates for social justice. I want an end to poverty, discrimination, gun violence. What do you want? Do you want the world we have today, or do you dream of something different? I want a revolution. And I think many of you do too. But how on earth are we going to start a revolution if we do things the same way we always have in our schools? When I saw Jo Boaler at the Learning and The Brain Conference, she said something like “We can’t tell kids mistakes are great, and then grade them down for making them.” This tension between what we want and what we do is very real and very complicated to navigate. Well to start, I have been looking at my classroom against a vision of a better world and seeing the choices I make that propagate the status quo, and ask myself, “how can I do this differently?” Sometimes this means taking risks that feel scary and sometimes we shut ourselves down before we start by invoking the mighty “they”. It’s tempting to blame “they”? As in “they say we can’t ______” But too often “they” is an idea, and not a reality. The idea of “they” can work like a scarecrow in a field, an illusion that prohibits risk and change. And if “they” is an actual person, that means we can lobby and work to change minds, and its our responsibility to work and lobby to change minds. But okay, back to looking critically at my classroom. So, one thing I want in the world for people to feel joyful and curious, like they have the power to create change in their lives, and they have the initiative to do so. I have struggled with how that is built in a traditional classroom structure where kids are (intellectually) shuttled from schedule item to schedule item. It has always felt very passive to me, from the child’s position. Yes, they can take charge of their own learning in each schedule area but the structure has been handed to them. Elena Bodrova and Deborah Leong, in their book Tools of the Mind talk about children setting up learning plans and play plans. I’ve also been deeply inspired by what I have been learning from teachers across the globe on twitter about other ways of teaching- Reggio, outdoor schools, and others. So, I decided to hand over the creation of the schedule to the kids for the morning. I teach in the co-teaching classroom, which means there are multiple adults in the room. If you teach solo, I have some ideas for you to try this at the end of the post. I managed the writing area, my co-teacher managed the reading area and some areas were independent and our group para managed the “running break”. We talked about how we, as teachers, set up the schedule every day, thinking about what might best help the kiddos brains grow, but that we realized, they knew even better than us how to make their own brains grow, and so we were going to give them the job of planning their morning. The afternoon is dedicated to choice time so that was already set. They each got this paper. Cut just means “cut this side”. 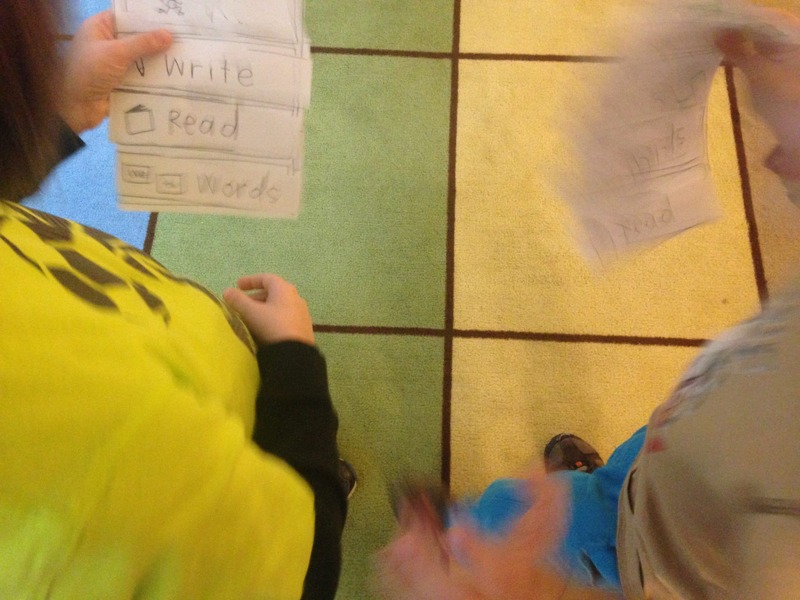 Words means word study and was a variety of games. Run means a movement break. Art means using the art materials in the classroom for whatever your heart desires. It took about 5-7 minutes (most of that was cutting time) for the kiddos to build their own schedules. We ran interference to make sure we did not have 72 kids in one thing at a time by suggesting taking a running break or an art break at a different time. And then we were off!! These are WELL KNOWN routines. 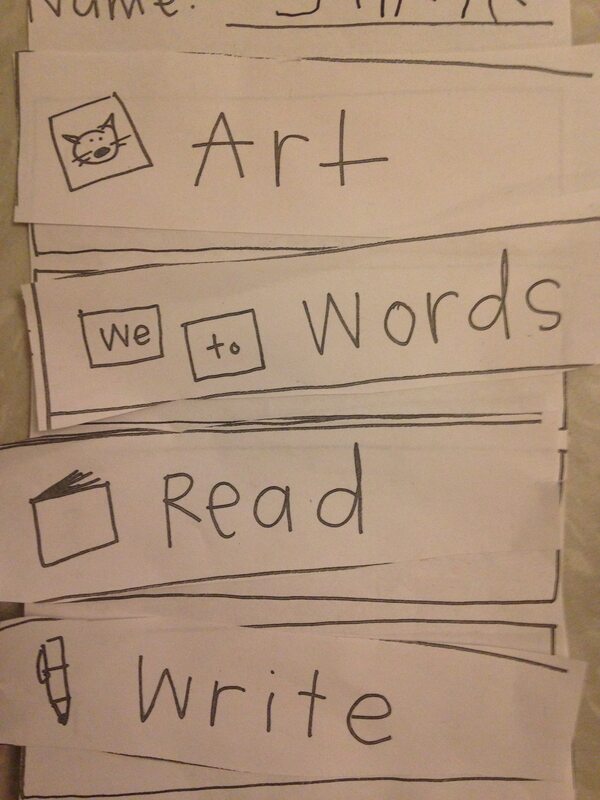 We have writing, reading, art, movement, and word study every single day. They have specific areas of the room in which they do each of these things so those routines were WELL established. We had more choices than time- we decided we were fine if a child did not do one of the things (including reading or writing) but we would keep an eye to see if it became a pattern. Since they would have to choose reading OR writing, and both work towards many of the same skills, we felt like as long as they were in one, we could help them grow. We have 25 kids so with 5 options and our benign interference, we were able to keep groups around 4-6 for each thing. We met back on the big rug every 30 minutes for kids to track what they had done and figure out where they had to go next. It was GREAT. Some of the issues I had been anticipating did not happen, for example, I worried about the kids who took movement breaks first that they would feel tired by the end or want another movement break- it didn’t happen. I worried that the independent stations would get silly, but they didn’t, they took their jobs seriously. I worried that it would be chaotic, but it wasn’t. The kids had tons of great feedback (remember these are FIVE year olds). Many of them said that they felt like they had a made a good plan and would maybe try the same one tomorrow. Some said that they wanted to make their break a little later because they felt tired (break meaning art or running). Almost all said something about feeling proud or grown up or that it was fun. For me, I felt more like I was approximating the world I am hoping for. I trusted the kiddos would take it and run with it and they did. They brought energy and independence and confidence. They chose their schedule wisely and reflected on it with care. I worked as a facilitator but not as a dictator. They worked purposefully because they were in charge. Friday was day 3, and we had to cut off the last 30 minutes because we ran out of time, and almost every child begged to extend it after lunch- which SHOCKED me because after lunch is choice time and that is like THE BEST PART OF EVERYONE’S DAY EVER. First of all, the kiddos need to know the routines very very clearly, so I would not recommend introducing a movement break on the first day of trying this, so work with what kids know intimately. Less might be more? Have 3 slots and 4 choices. Or 2 slots and 3 choices Maybe reading, writing, math games, and art or movement? Movement in the classroom is easy enough if you have access to go noodle and the children can use it independently, if not movement breaks might be hard to do as an independent center. Okay, this is turning into an epic blog post that is going to take 3 hours to read, so I am wrapping this up. So for me, this more closely approximates how I think the world should work and so I am helping kids gain the tools to be successful, reflective, independent learners. But for you, it doesn’t have to be this. Taking a risk to change things in your classroom is how we are going to change things in the world. If you have stuck with the blog towards the end, I think you are the type of person who is working for more empathy, more joy, more curiosity, and more independence in the world. Share how you changed your classroom to grow it in the comments below! I hadn’t even finished and I had sent the link off to four friends! So many, many ideas about how doable this can be in a classroom and especially to lift the energy for the remainder of the year. A very wise first grade teacher friend always allowed students similar planning choices and they worked for 95 % of the kiddos year after year. 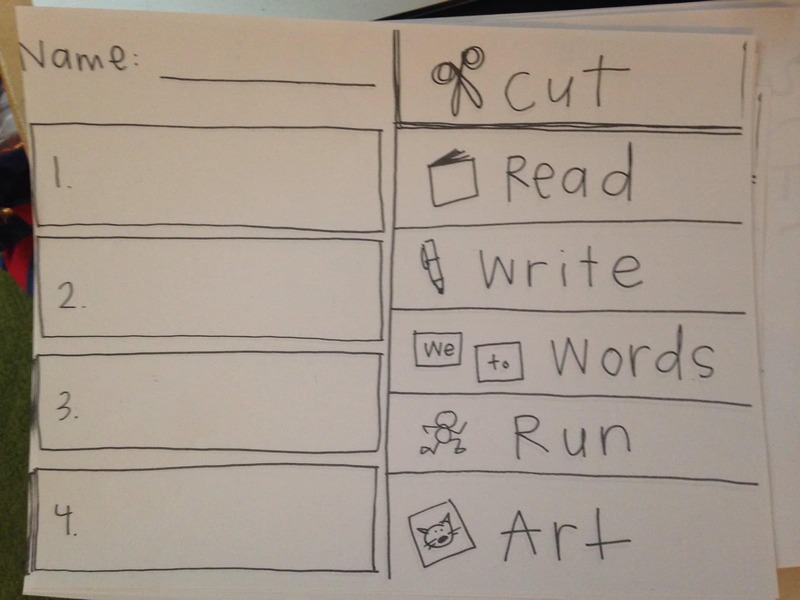 By first grade she could put the week’s choices on one page and see exactly what students had planned for their week! The idea of looking at a whole week is so cool! My hope is to try it in an AM block and PM block and have choice time be the only thing that everyone does at the same time… I will keep you posted! Please let me be in your class. OR just run for president and let me be in your world. This is so very important. Thank you for being this voice in the world of education. We need you. This is a beautiful post. I would love to visit your classroom one day. I hope that this is the goal we are focused on. I love the ideas mentioned in this post. We must never underestimate the power of choice. I actually hope the world becomes more like your classroom (and I agree with the person who suggested that you run for president)! I really appreciate your powerful voice for developmentally appropriate practices! I am currently reading The Importance of Being Little (Erika Christakis). Your constant reflective practices as an educator are exactly what our kids need and deserve. The choices we make on how to allocate time each day are critical. If we want a joyful environment where kids are thriving, choice is essential. As always, thanks for sharing your thinking and pushing ours! Googling/buying book now! Thanks for sharing the title! I really want your thoughts on this book….so please share after you’ve read! I have decided that after seventeen years of teaching, I can get even better at being in control or I can work on getting really good at letting go of it. One little way our team has done this is by changing morning work to morning play. It is such a welcoming way for our second graders to start their school days. If you stopped by tomorrow morning you would probably see kids building with Legos and K’nex, reading, writing books about their spy agencies, and finishing up a play birthday party set with paper cakes, hats, and decorations. Our team is getting ready to talk about how our students could begin writing the morning messages too. We want our students to use them to teach about topics they are passionate about. Thanks for always pushing me to grow a better classroom for kids! Hi, our principal has asked us to give him our ideal kindergarten schedule after listening to us talk about Purposeful Play. I love the idea of letting the kids design their morning schedule and having free choice in the afternoon, but I am pretty sure I would need to ease into that, so what does your schedule look like in September? My kiddos this year really struggle with home-school transitions so I am thinking that play/choice when they first arrive would be better than the structured seat work/morning meeting that I am doing now. Are your choices truly open or are you making some parts of the room available and not others? 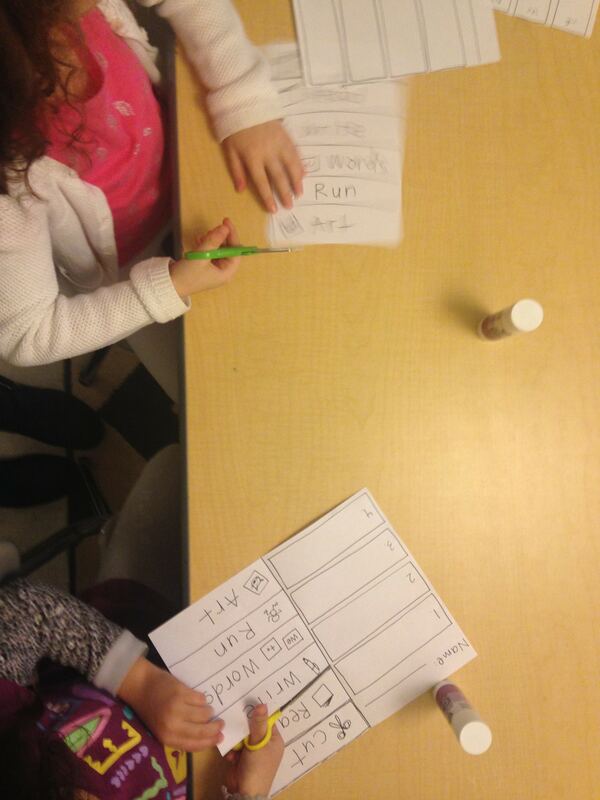 Helping kindergarteners become independent thinkers and problem solvers is such an exciting dilemma. I really want to make this a reality for our youngest learners. While I expect I will need to revise my plan after trying it for a bit, I really don’t want it to be a train wreck. Opportunities like this just don’t come along too often. My brain is spinning, so I may not be making a lot of sense. It is the end of May and as a veteran teacher who is wrapping up the first year with little people, I have learned a great deal, but I know that I can make this better for them. Kindergarten cannot be first grade and I really want to restore authentic play to their world. Thank you for any help and insights that you could send my way. In the beginning of the year we have choice time first thing as well! We have it twice a day actually and ease into all the other stuff! If you do reading and writing workshop, it should be 10-15 minutes max, and the rest of the time is choice time and explorations and lots of free choices. I would recommend “Reflecting Children’s Lives” as a great read for the summer! I believe choice is so important. To “control” the number of kids at each center, I list all of the choices for the week on Monday and each morning, kids tell me where they will go for the 3 chunks of time we spend doing centers. I only allow 3 to 4 students at each center so if a center is full, kids pick something else. By the end of the week everyone should have had the opportunity to be at each center at least a couple of times. 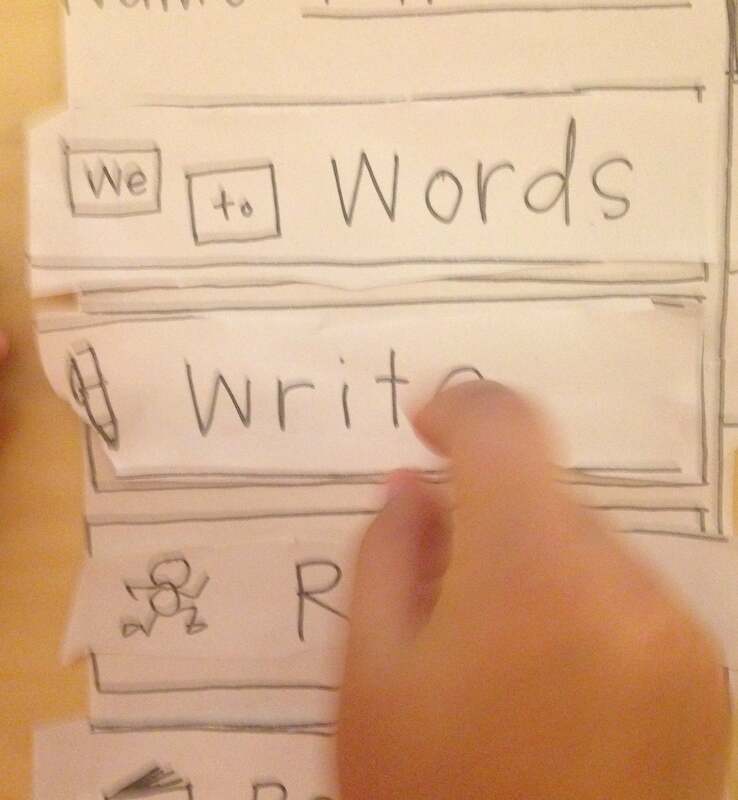 If something is really loved, I try to create similar centers so more kids can do similar work. Limiting the number of kids at each center helps kids stay mindful about their learning. I really enjoy your blog posts!